Motoring organisation the AA has welcomed the implementation of new raised speed limits for HGV operators on roads across the UK. Coming into force this week (April 6th), the maximum speed limit for heavy goods vehicles weighing more than 7.5 tonnes has been raised from 40 mph to 50 mph on single-lane carriageways and from 50 mph to 60 mph on dual carriageways. The speed limit for HGVs on the UK's motorways has remained unchanged at 60 mph. Following this move, motorists up and down the country are now being urged to bear in mind how these changes will impact all road users, with the decision to up the speed limit for HGVs having been made in response to concerns over the potential risks of different forms of traffic having such a wide gap in permissible speeds in the past. Now, the likelihood that larger vehicles will cause considerable congestion on the nation's roads has been reduced and with it the temptation for drivers of other vehicle types to carry out reckless overtaking manoeuvres should be diminished. AA president Edmund King commented: "Hopefully, this speed increase will ease the frustration of drivers who find themselves 'stuck' behind an HGV on a winding single carriage road. 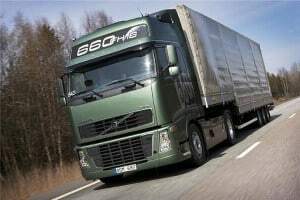 "For drivers who are confident enough and used to passing HGVs on single carriage roads, they may have to lower their overtaking expectations or adapt their 'roadcraft' in anticipation of big lorries going faster on the straighter stretches of road." According to the latest AA-Populus poll of UK driving attitudes, just 28 per cent of people correctly stated the dual carriageway speed limit for HGVs is now 60 mph, with a surprising three per cent believing it to be 70 mph – a top speed only permissible for road users on the nation's motorways and not by HGVs at all.